« Cloud Computing: Should your business use it? In our article on “Cloud Computing: Should your business use it?” e-mail was given as an example of a cloud service. This article focuses on a few of the pros and cons of using e-mail as a cloud service versus maintaining an in-house e-mail server such as Microsoft Exchange Server. It is not meant to be all-inclusive, but rather to provide some general points to consider. One general benefit is reducing your capital expenditures by eliminating the need to purchase an e-mail server and associated e-mail software (e.g., Microsoft Exchange Server). The disadvantage is you normally pay a monthly fee based on the number of users or the volume of e-mail your business utilizes. A cloud-based advantage many do not think of is the maintenance side of the equation. If your business opts to build in-house infrastructure, again such as a Microsoft Exchange Server, there is still some level of on-going expense. For example, as time goes by your users e-mail boxes grow larger and larger and this in turn requires more disk space (cost) which requires the purchase of larger hard drives and paying someone to install the hard drives and configure your e-mail software to make use of the additional disk space. With respect to Microsoft Exchange another common maintenance issue that occurs is the size of the “information store”. Quick Fact: The “information store” is essentially the database Microsoft Exchange Server uses to store e-mail and other information. In many versions of Microsoft Exchange there is a limit on how large its “information store” can be and when this limit is reached your e-mail stops working until the “information store” size is reduced or re-configured. There is a cost in reconfiguring the “information store” size or even in just the time chasing after users to reduce the size of their individual e-mail boxes. So the advantage of e-mail as a “cloud service” from the maintenance perspective is your ISP is the one dealing with most of the maintenance related issues. 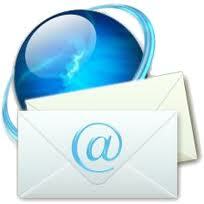 However, there are also many advantages to having an in-house e-mail server. If it is initially sized properly, you can go years before having some of the maintenance issues discussed above. Many businesses also like the fact that their e-mail is stored locally as it increases the level of security of stored e-mail. Businesses can also have tighter control over e-mail use within their organization if it is in-house; for example, it is easier to control how and when e-mail is accessed and it is easier to monitor what is leaving or entering your business via e-mail. Another advantage of having an in-house e-mail server such as Microsoft Exchange Server is the ability to have global (centralized) contacts, which is more problematic if your e-mail is in the cloud. For many smaller businesses the cloud is commonly used for e-mail, but for mid to larger sized businesses more often than not in-house e-mail is used. So there is no right or wrong answer as to whether e-mail should be implemented in-house or as a cloud service – the advantages and disadvantages simply need weighed for a particular businesses need.